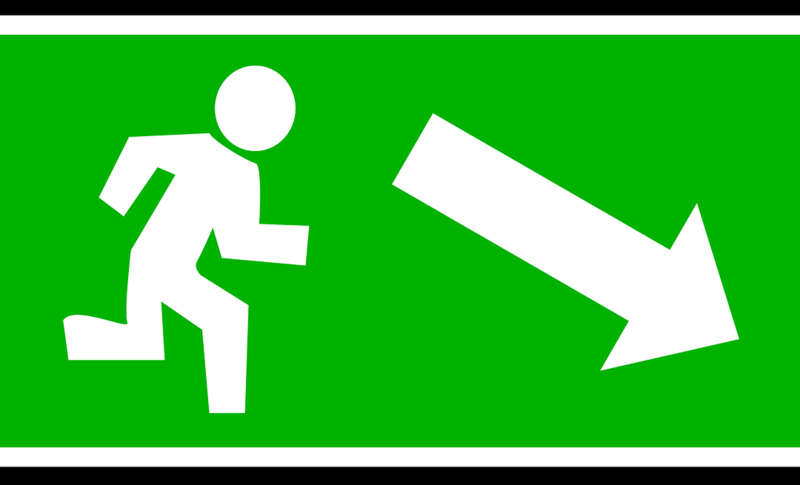 Does My Company Need a Fire Evacuation Plan? Every company should have a fire evacuation plan in order. Because nobody expects a fire or emergency situation to happen to them, especially while at work, it can come as a surprise and cause even more damage that it would if people were prepared. This is because a fire can cause many people to go into a state of panic or confusion. If the people in your office don’t know how to respond to a fire, then you run the risk of injuries, distress, or even fatalities if one occurs. That’s why it’s so important to take precautionary measures and make sure you and your company are prepared for a fire. In this blog, we will help you better understand how to create a fire evacuation plan and share it with your team at the office. Now that you know how important it is to have a fire evacuation plan in place, you should create your plan and practice with your team. The steps below will ensure you’re prepared and organized if a fire occurs while you’re at work. Step 1: Sit down as a team with the people in your company to create the plan together. Step 2: Print out the building floor plan and lay it out on a table so everyone can see it. Step 3: Mark all of the doors, windows, exits, and fire extinguishers so everyone can clearly see them. Also draw arrows on the map to indicate the best escape route for the office and the building as a whole. Step 4: Designate a spot outside where you will meet up after evacuating the building and mark it on the map. It should be a secure spot that’s a safe distance away from the building. From there you can do a headcount/role call to make sure everyone made it safely out of the building. Step 5: Explain fire safety precautions, such as feel a door with the back of your hand before entering a room, close doors behind you while exiting the building, and do not re-enter the building once you’ve escaped. Step 6: Finally, practice! You should practice evacuating the building on a regular basis. Whether you set up a fire drill or not, make sure everyone gets used to the drill and escape route. If you have any questions about fire protection equipment, then contact Frontier Fire. We have offices in Denver, Fort Collins, Colorado Springs, Rifle, and Salt Lake City. Our team of experienced technicians can install the best defense devices in your building to ensure you’re safe and prepared for an emergency situation.